Zelda Rolfe is delighted to announce that rehearsals will commence on Sunday 10th February for the forthcoming production of the award-winning Andrew Lloyd Webber Musical, Cats. Sunday will be the first time everyone will be together. It should be a lively session, with Zelda and her team leading the direction for this incredible show. All students should bring water and a notebook & pencil to make notes regarding their character and role within the show. The tuck shop will be open. For those who are members of the Limelight Theatre Company, full Limelight uniform should be worn. For non-members, please wear appropriate, comfortable clothing which you can move easily in, together with indoor shoes, such as plimsoles or jazz shoes. If you are a parent or guardian of one of the students and you are able to chaperone during this rehearsal session, or future sessions, please do contact hello@limelightnorwich.co.uk to update us. All help given in this regard is very much appreciated. Don’t forget we will be holding our FUNdraiser after rehearsals on Sunday. 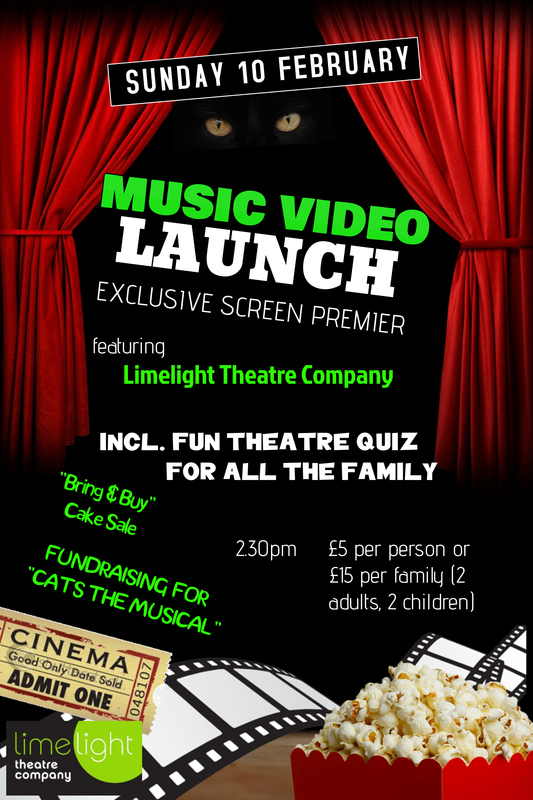 Come and join us for a fun family quiz, raffle, bring & buy cakes & cookies, a cuppa and a chance to view our music video which was filmed last summer! 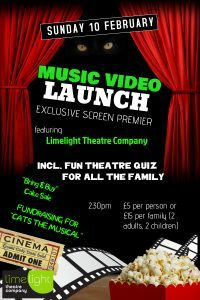 All funds raised will go directly to pay for our production of Cats and to fund the make-up required to bring the cats to life on the stage. Do let us know you are coming and follow more about the afternoon here. Calling all pirates! Would you like to be a Cat? I wanted to write today with a very big THANK YOU, to both of you, for Saturday, and indeed the lead-up. Please could you also pass our thanks on to your lovely bar staff who were wonderful. Everything ran so smoothly and we are so grateful for all your hard work and for hosting us – the venue could not have been better as far as we were all concerned. – Retirement event for the CEO of the Norwich Charity Musical Keys.